Grand Opening, Grand Closing! 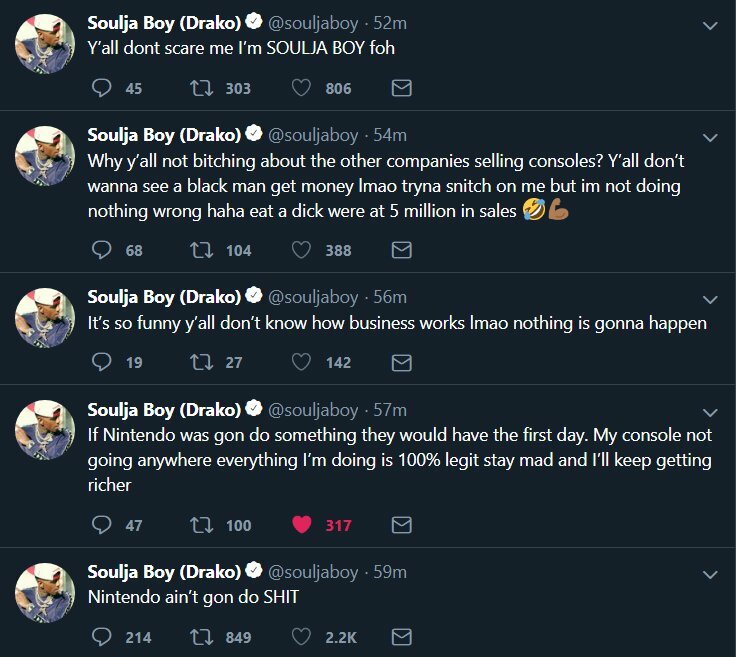 Nintendo Makes Quick Work of Soulja Boy, Forces Him to Pull Console off the Market. - T.V.S.T. 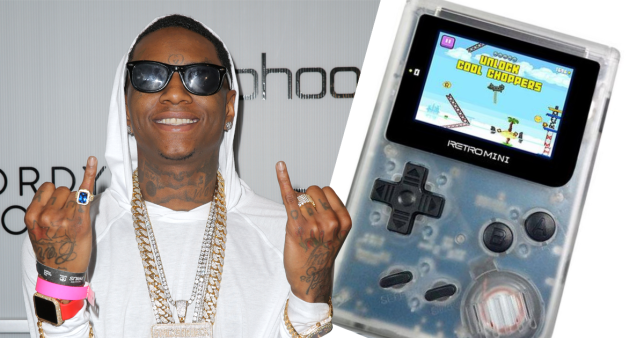 Everyone was praising Soulja Boy for releasing a game console this year. The game came pre-loaded with unlicensed ROMs…basically it had 800 ripped games, it was almost too good to be true. It was. There was no new technology in the unit; literally the exact same thing, can be purchased from Alibaba for a fraction of the cost that Soulja was charging. Like my dad says, when someone says “Honestly” too many times, they are most likely not being honest. 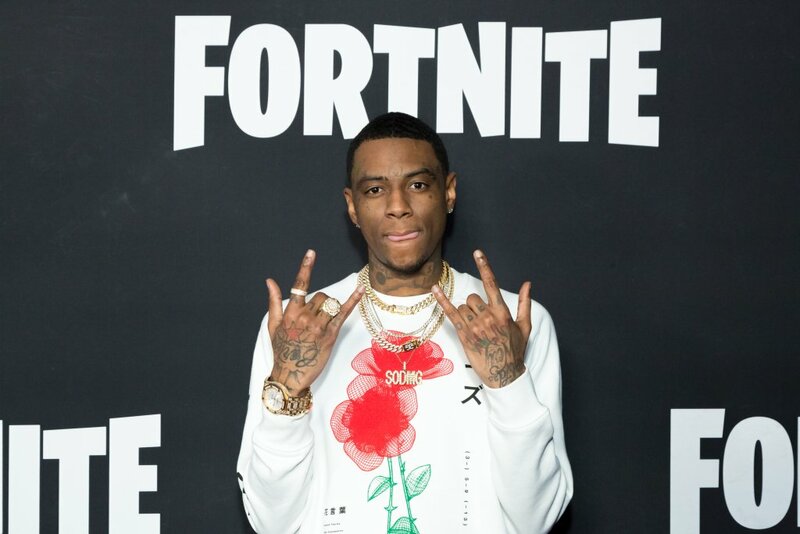 Soulja then went on a twitter tirade, against all the gamers who reviewed his gaming system on Youtube. During the rant, he stated that he sold 5 Million game consoles, a number that would be impressive even for Nintendo. While that number is in question, he did make enough stink that Nintendo came for him….and got him. He has since pulled all the consoles off the market. In fact, his website now redirects to Nintendo’s: http://souljagame.com/ Whoops. Although there has been no official statement made, Soulja sent a tweet saying that he had to boss up. Translation, get out of the market ASAP. Grand Opening, Grand Closing. Tiffany Haddish Bombs on New Year's Eve - Fans Walk Out and She Ends Set Early to Have a Drink.